Do you do grocery pick up?? I end up doing it a few times a month and it is a LIFE SAVER. You don't have to drag your kids with you, you can shop from the comfort of your home and it saves me money because I can see my total adding up as I add things to my cart. Walmart's grocery pick up is free if you spend $30. Fletcher and I give it a BIG THUMB'S UP!! If you'd like to try it out, I have a $10 off coupon code for you to use on orders of $50 or more. In full disclosure: if you order, I get a small credit to my account with no charge to you. Click on this link to give it a try --->> or email me at polkadottyplace@hotmail.com and I will send the coupon code to you! Smaller orders (under $75) are perfect for grocery pick up. It's easy to manage what you get and it's easy to keep track of. Occasionally I've had trouble with big orders and making sure I got all of the items I had on my list. 2. Click the substitute button any store brand items. If you love Great Value water, flour, sugar, etc. Click the substitute button and sometimes you'll end up getting name brand items instead of the store brand when they are out. Or they'll size up to a bigger quantity of you say yes to substituting. I've gotten double the amount olive oil, cold medicine, flour and cheese thanks to the substitute button. You only have to pay the amount of the item you ordered, but you get a much larger quantity sometimes. Example: I ordered a 17oz Great Value olive oil for around $3. They were out of it and gave me the 25oz bottle for the price of the 17oz bottle! Win! 3. Double check your receipt. This one is common sense really and something you should do at all stores. Make sure the items you paid for are the same as the items you came home with. If there's a problem call customer service. They are very efficient and refunds come through very quickly. I've called about missing items, refunds and coupon codes that wouldn't go through online. All of my issues were dealt with very quickly and I was happy with the result. 4. Examine your produce, meat, etc. Look it over before you put it in your car because returning grocery pick up items is a pain. Don't be afraid to speak up if something isn't right. Full disclosure: I don't do a ton of meat/produce purchasing through grocery pick up because I like to pick it out myself. I will do things like carrots, cucumbers, bananas, potatoes and frozen meats. Be sure and favorite the items that you buy each week to simplify your ordering. You can just pull up your favorite page and find the items that you buy again and again. Fletcher and I went to Walmart yesterday. I was on the hunt for several things and found tons of cute things to share with you. I don't have the online links for these items. I just walked through the store snapping pictures of cute things I spotted. I'll try to give deals and hope you can find the stuff in your local Walmart stores. 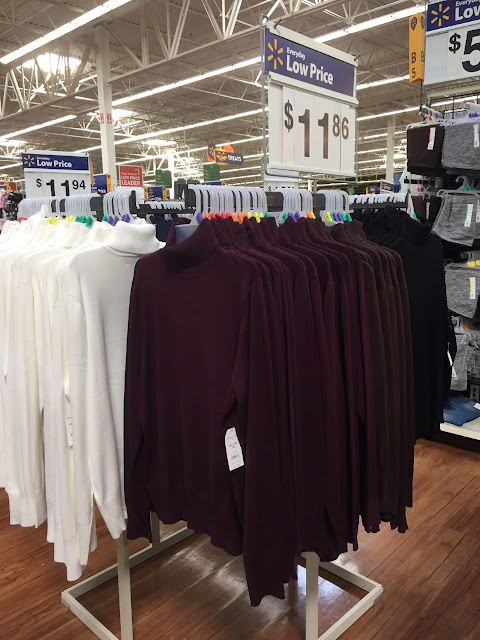 TONS of great athleisure for $11.86. Loved this Avia pullover and the Avia cowl neck top was pretty. I tried that one on for you. It runs small so size up and it's on the shorter side (doesn't cover your bum). 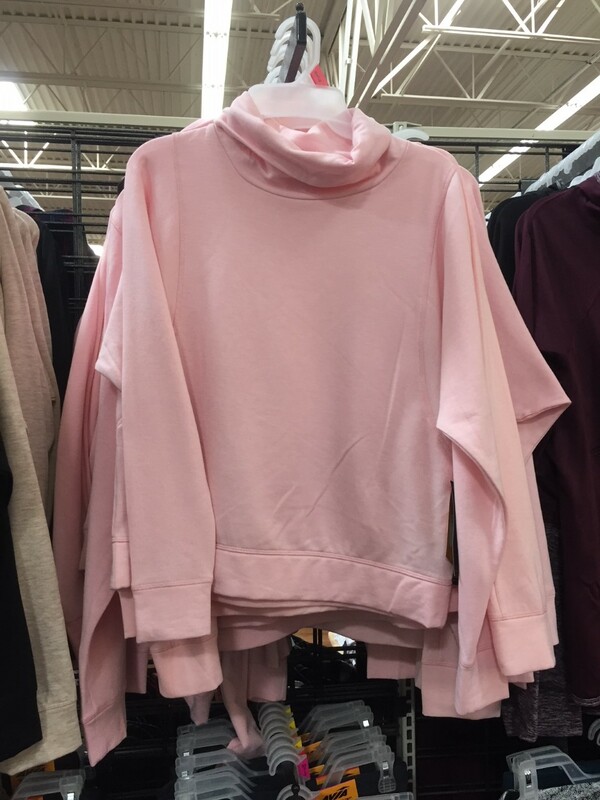 Both come in several colors. 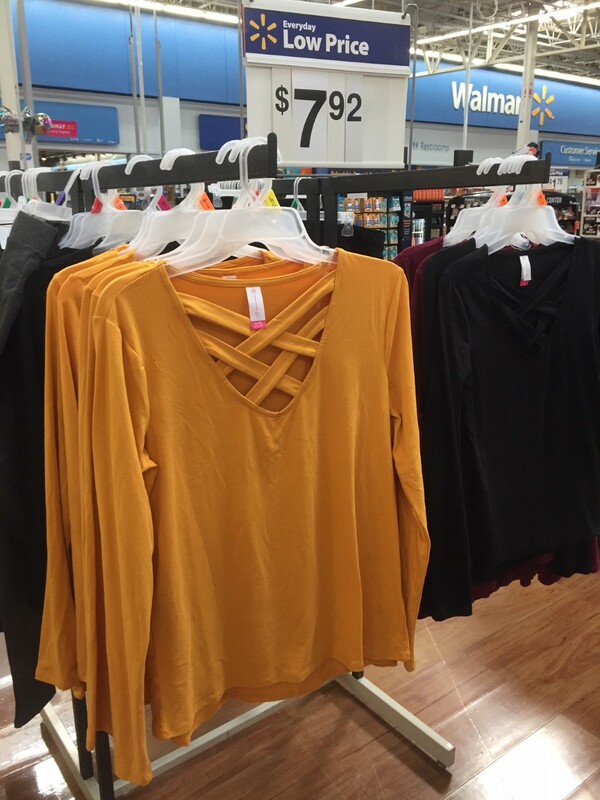 So many pretty tops for Fall. I got a couple different turtle necks for $11.86. They ran true to size and are so soft. 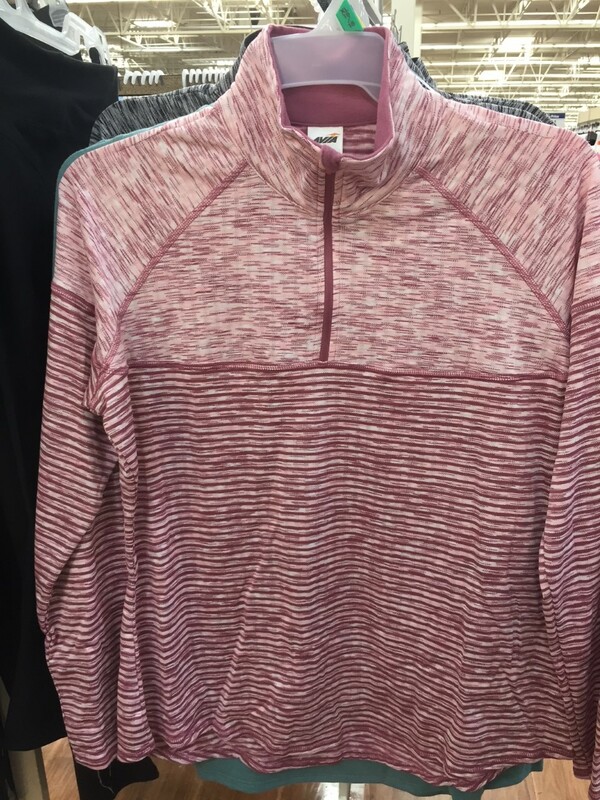 They come in white, brown, gray, burgundy, black and maybe navy. I love that you can find trendy items for a really great price. 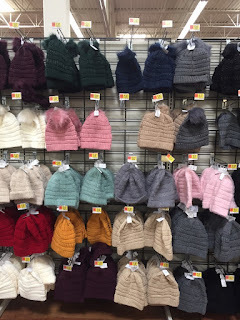 These knit hats with big pom poms and woven v neck were both around $8. I think these kind of things are fun to add into a wardrobe of classic pieces. Holiday pjs pants were already out for Halloween and Christmas. They also had fun holiday leggings for under $10. 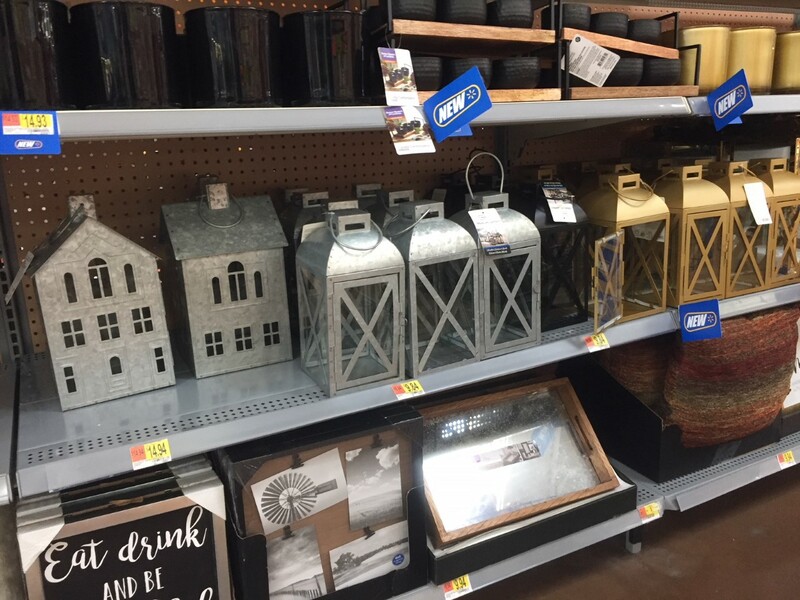 Better Homes and Gardens galvanized metal lanterns. I had to have the house one and the gold ones would look so pretty added to your fall and winter decor. Tons of cute holiday towels in a two pack. They make great teacher gifts when you pair them with a fresh loaf of bread or cookies. 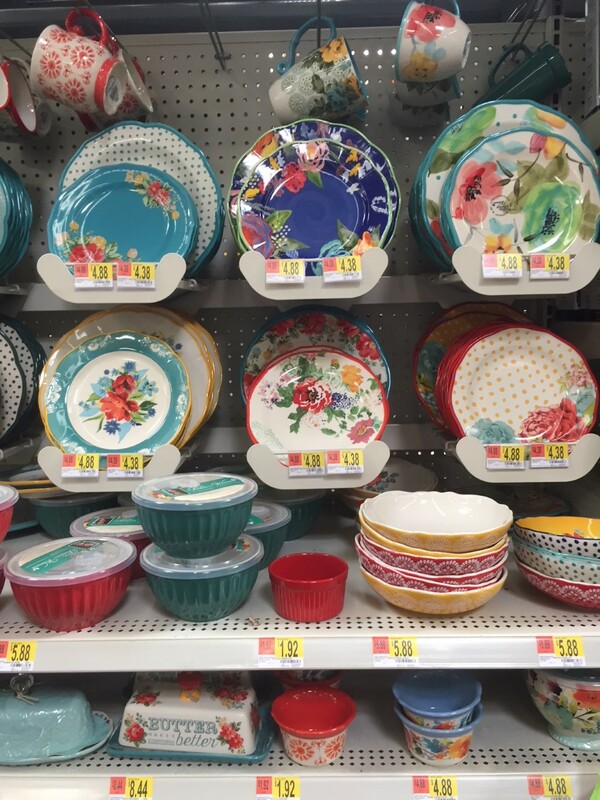 The Pioneer Woman dishes are so pretty right now!! I have the red trimmed plates and might have to add a couple more to my collection for my birthday next month. They have a very Anthro feel for MUCH cheaper at $4.38 a plate. I loved this section of cute home decor. It feels very much like things you'd find at TJ Maxx or Marshalls. Most things were under $15. 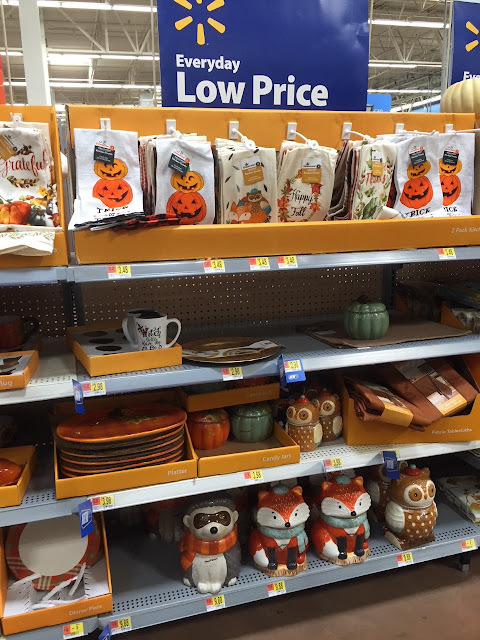 There was still lots of Fall decor. I picked up another scarecrow. We wanted a boy and this was the best price I'd seen around town. Most places were asking around $10. Cute football party supplies for just $1.97. Have you found anything good at Walmart lately?? It's time to link up with my favorite Welcome Wednesday ladies. Be sure to join us with some current posts and look around to make some new friends. Great Walmart finds! That oversized turtleneck sweater looks like something much higher end. I need to try the Walmart grocery pick up. A local friend was just raving about it. 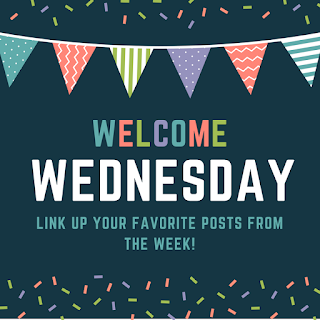 Have a happy Wednesday! 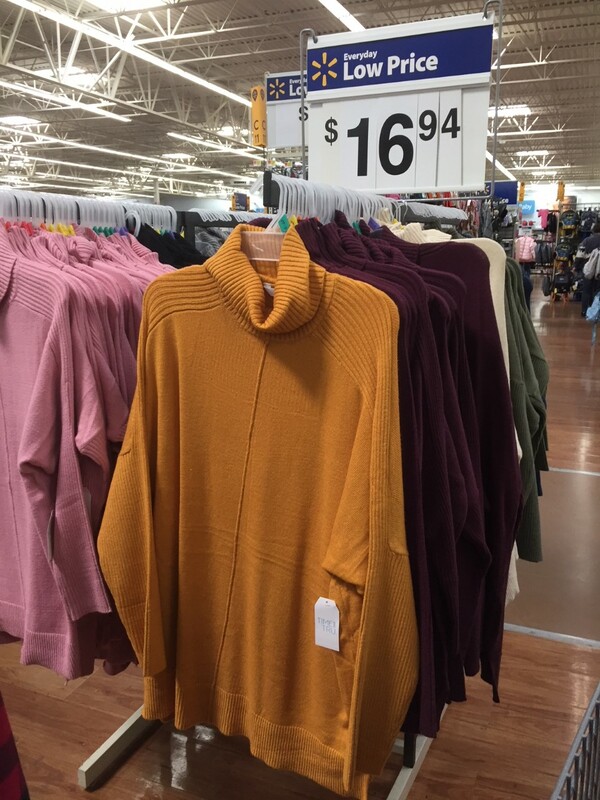 You have some great Walmart finds. It is really convenient to have everything in one place. Thanks for the link up. Such cute stuff.. 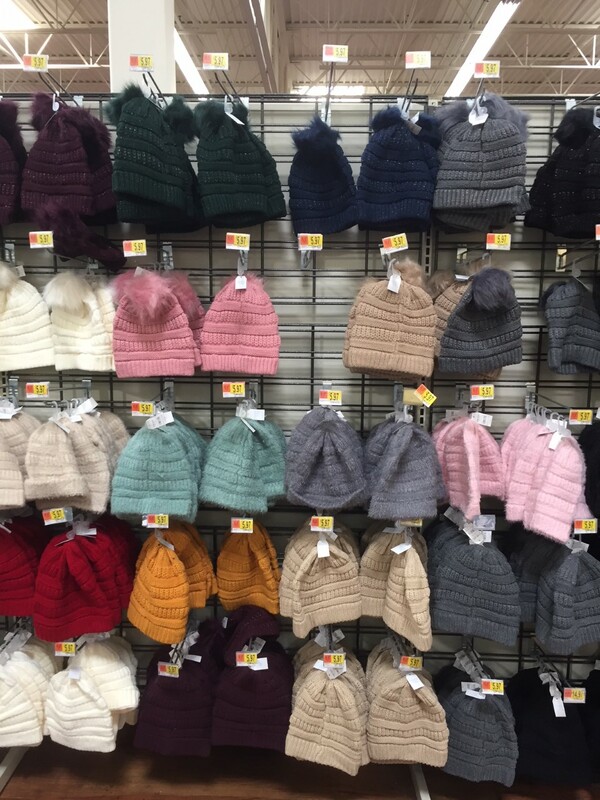 I love Wal-Mart!! Yes! We do the grocery pickup and just love it. Saves so much time and actually money too. I’m not going up and down the aisles throwing random things in my cart. I go into the store actually a couple of times a week for things I need before a scheduled pickup or so. They’ve recently redone our Walmart and it’s so nice. And my word did they step up their game in the woman’s clothing department!! I totally agree that Walmart pickup is a game changer! Already got my delivery scheduled for tomorrow morning! I don't shop at Wal-Mart very often. Not a huge fan of the service or layout. BUT I do go there once in a while and find tons of clothes on clearance. Their holiday towels are also at a great price, much better than other places. Our local grocery store has free pick up for $50 or more and it's so great. I use it a lot! I love the decor you showed! 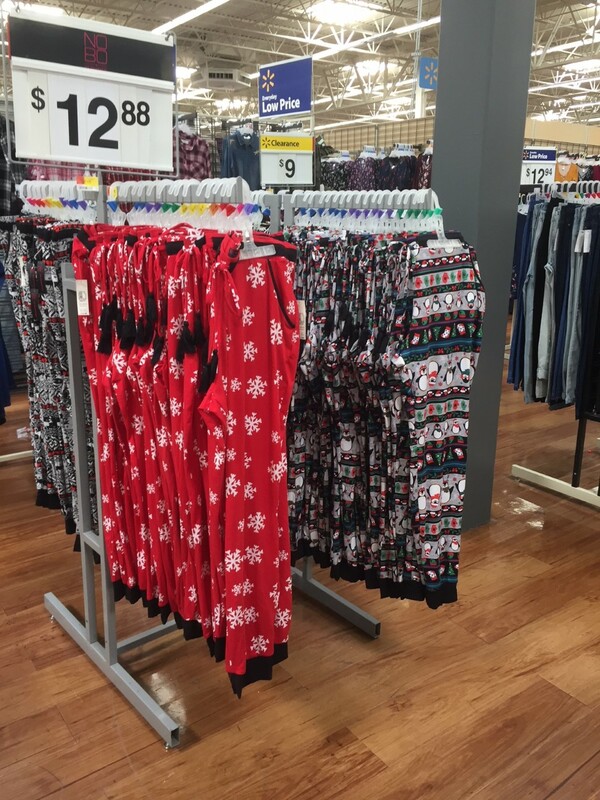 Makes me want to stop by Wal Mart! I'm always surprised at how low Wal-Mart's prices are. I like their grocery pick-up because it keeps me from buying a bunch of stuff I don't need. Wishing You a SUPER Halloween! Apples, Pumpkins, Fall Break & Pie Oh My!